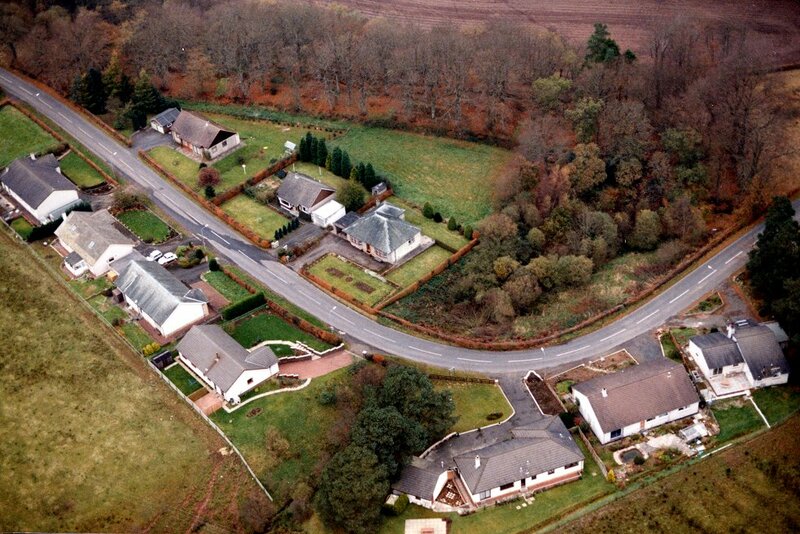 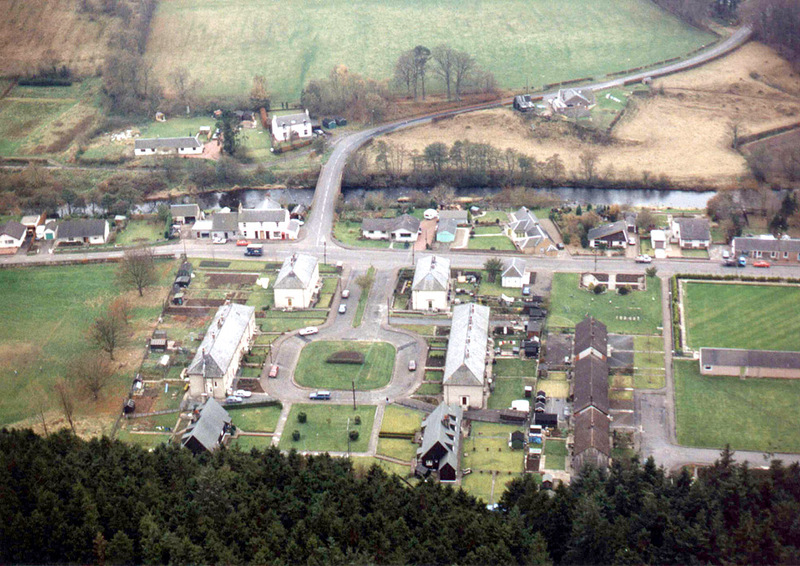 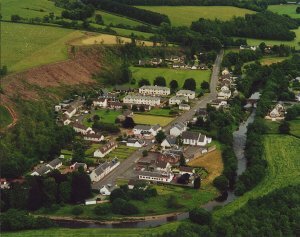 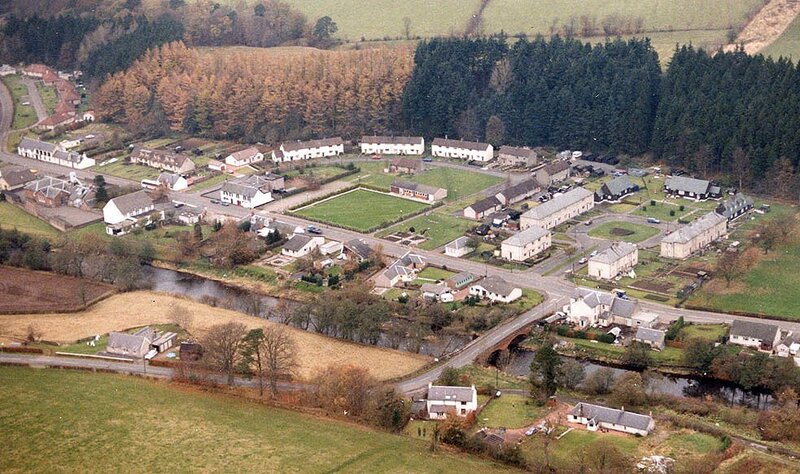 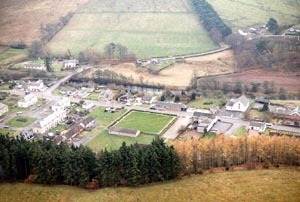 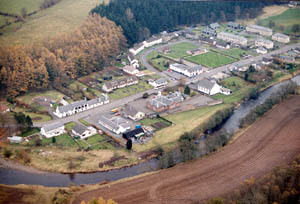 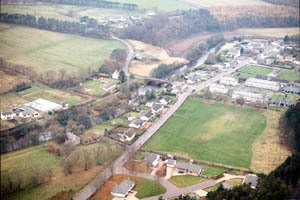 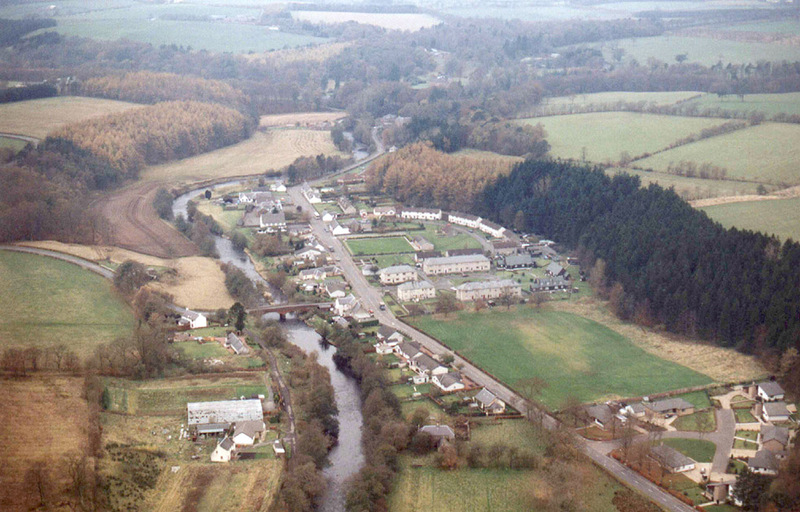 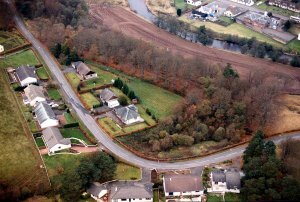 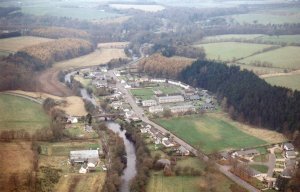 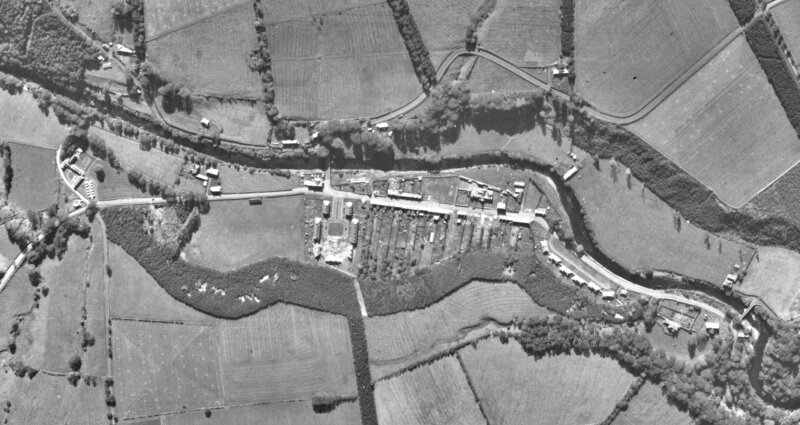 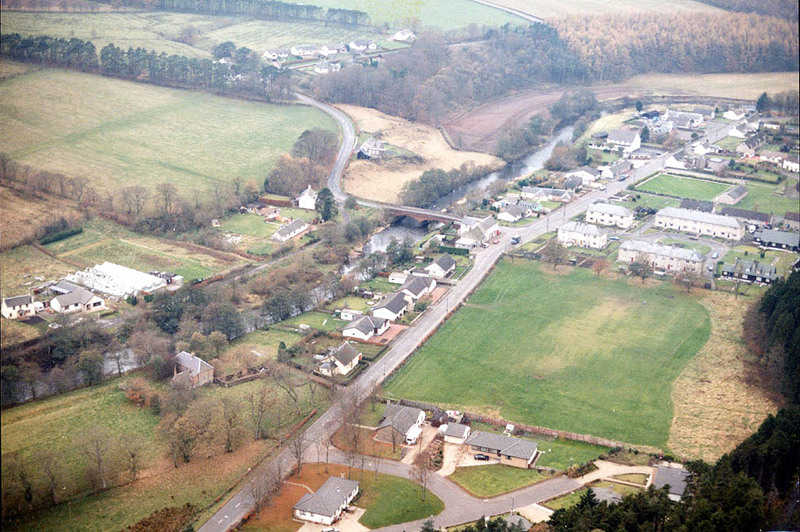 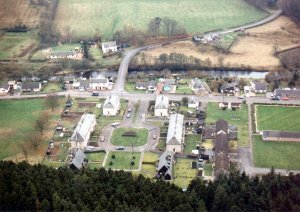 In the late 1980's, probably 1989 or even 1990, John Faulds of Sorn took the following collection of aerial shots of Sorn Village. 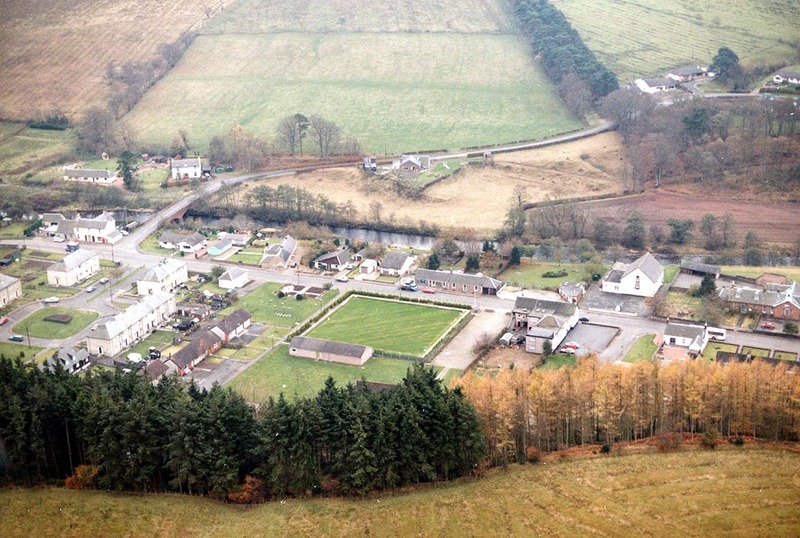 Many changes have become the village since then. 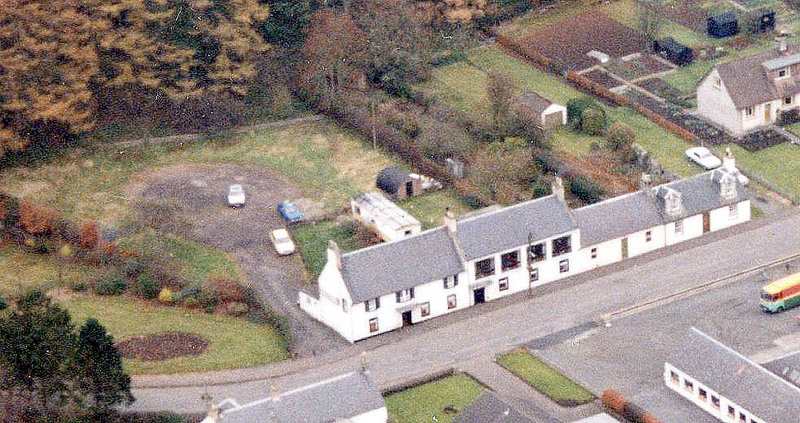 The right hand image shows a much clearer view of the Greyhound Inn, complete with the big windows upstairs, which at one time was called The Cedar Room, and used as a function hall for the pub. 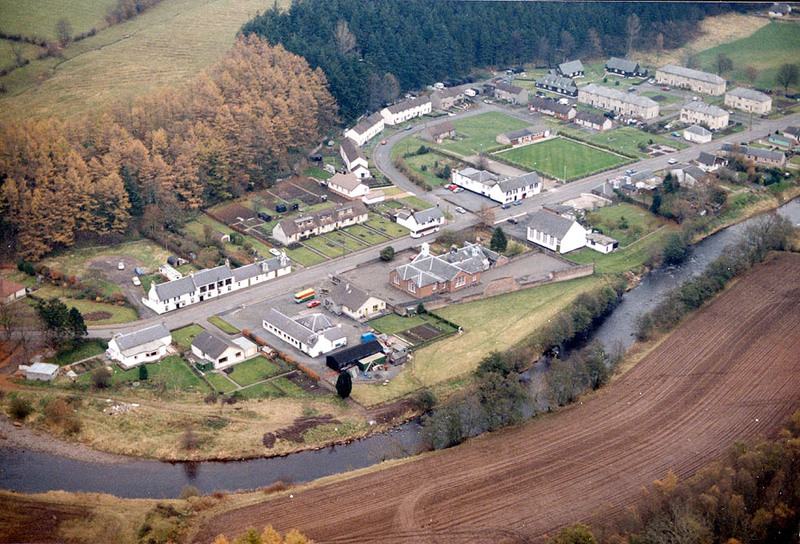 Previous to this in more distant times, it was the Constitutional Hall. 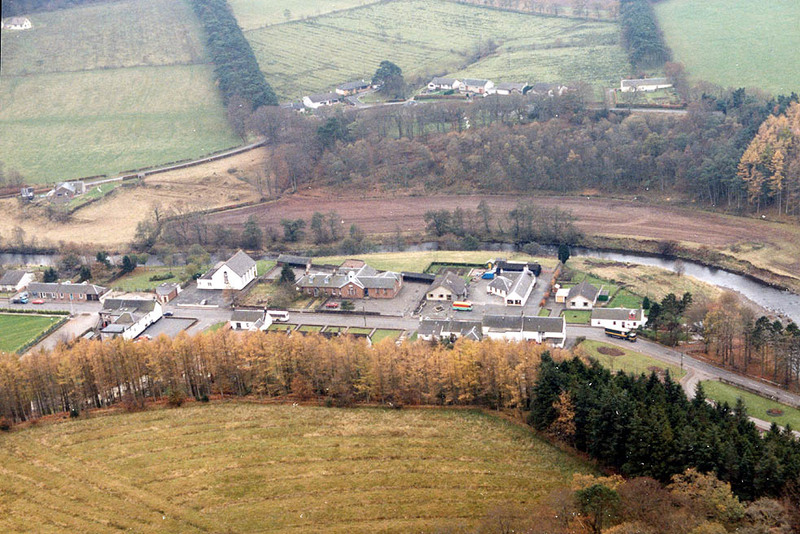 Above the door at one time was the words SORN CONSTITUTIONAL CLUB, 1832. 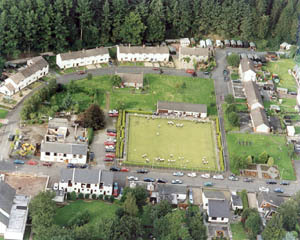 Opposite The Greyhound, is Morton's Garage, formerly Alston's Smiddy. 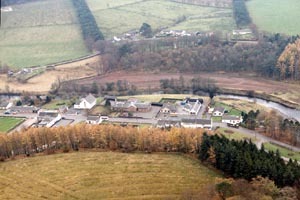 Beyond this is Sorn Primary School, followed by the Village Hall, opened 1954. 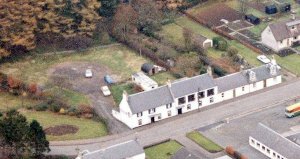 Opposite the hall, sits The Sorn Inn. 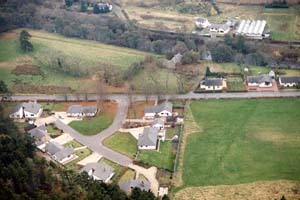 The woods at the back, on the northside of the village, were cut down in 2001 approx, and part of the Sorn path network runs along the hillside at the back of the village. 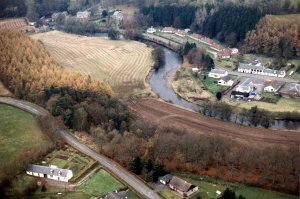 The bank is now replanted, and appears on modern day walking routes as The "Spooky Woods". 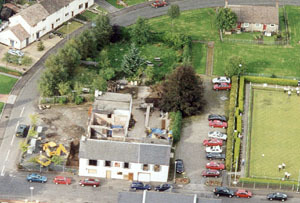 A large block of four houses now sits opposite the Sorn Inn, where a filling station forecourt once sat. Immediately behind the Sorn Inn, there are also four houses, where the green garden area is in this photograph. 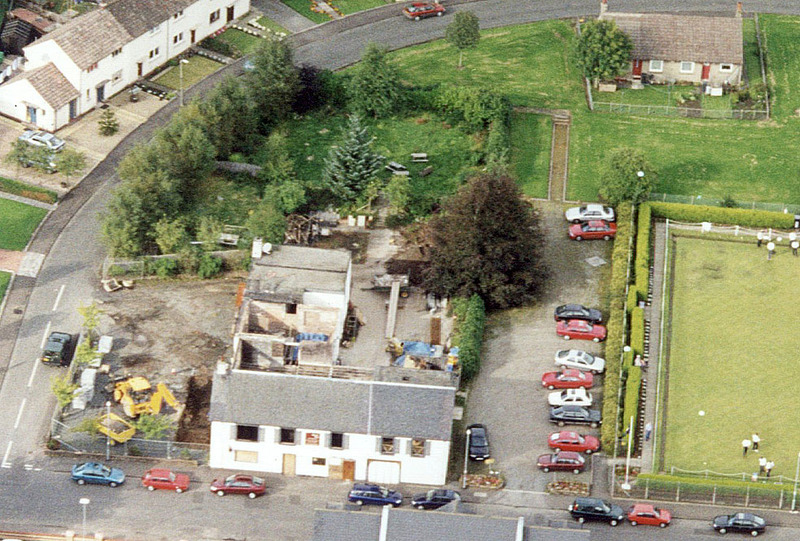 Photo 3 & 4 shows Catrine Road, which has changed little since the 80s, when this photo was taken, bar houses being renovated and upgraded.